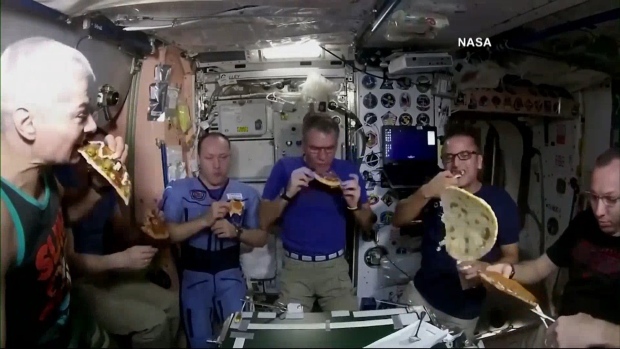 A SpaceX capsule called the Dragon returned to the International Space Station on Sunday to deliver nearly 5,000 pounds of goods. The capsule holds everything from mice to barley seeds, the latter for a Budweiser experiment. It was launched from Cape Canaveral on Friday. Astronauts used a giant robotic arm to dock it. 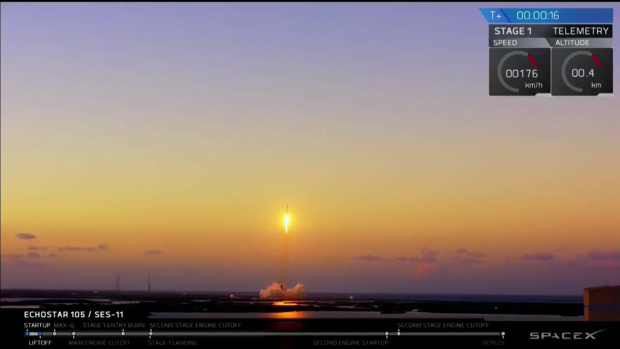 SpaceX launched and landed its second rocket in three days. The unmanned Falcon 9 blasted off from Kennedy Space Center in Florida before delivering a satellite and landing the leftover booster on an offshore barge. It is the third time a SpaceX has reflown a rocket.